Marble & Ceramic Corp (MCC) is your premier destination for the most beautiful natural stone. Established in 2003, MCC has quickly become Australia’s number one supplier of high-quality Natural Stone Tiles. The beauty of natural stone is unmatched and we have one of the largest product ranges to suit all tastes and budgets. Our warehouses contain thousands of square-metres of natural stone (Travertine Tiles, Marble Tiles, Limestone Tiles and Stone Pavers), ready for immediate delivery. Our product range also features Porcelain Tiles, Ceramic Tiles, Mosaics, Stone Basins and Pool tiles to help you meet your project needs in the most cost-effective and timely manner. Our interior designers are ready to assist you in selecting the best options for your project, whether a renovation or new build. In addition to supplying your tiling needs, we can fabricate and install your kitchen bench tops, vanity tops, fireplace surrounds, stair cases. We can also custom design pieces in a variety of materials including Natural Stone, Caesarstone, Quantum Quartz and Granite. Our prices are the most competitive in Australia and we offer regular promotions which can be found on our Special Deals and Warehouse Clearance pages. At MCC, you can rest assured that you will find the highest-quality natural stones and tiles at the most affordable prices. We welcome all local and international trade enquiries from producers, importers, wholesalers, retail outlets, architects, designers, builders, contractors, tilers and home owners seeking quantities as small as a few square-metres to multiple container loads. Please do not hesitate to call or email us your requirements, or visit us at our large tile and paver showrooms conveniently located in Sydney’s Eastern Suburbs & Melbourne's South-East. What distinguishes MCC in the Natural Stone & Tile Market? 1. 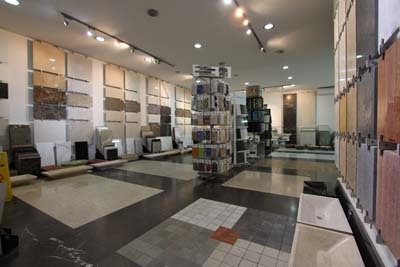 Our source of the highest-quality natural stone tiles and pavers in Australia. 2. Our extensive product range and exclusive lines of travertine, marble, limestone, pavers and mosaics. 5. Complete tile solutions offered in different class types, formats, finishes and sizes to match your project needs. 6. We fabricate & install kitchen bench tops, vanity tops & fireplace surrounds. 7. Exceptional customer and design consultation services. Our in-house interior designers, architects and civil engineers provide the best services to our client base. 8. Our commitment to beat any written quote for comparable materials. 9. Access to a vast network of suppliers and professionals for your convenience. 10. Our genuinely satisfied customers and high referral rates. 11. Our stunning showrooms showcasing a wide range of natural stone, tiles & pavers. 12. The main supplier for top-name architects and interior designers. 13. MCC serves all sectors (homeowner, builders, designers, interior decoration, wholesalers, retail outlets, architect, tilers, contractors. 14. We are a highly respected and trusted family-run business that prioritises the needs of our consumers. 15. Our easy-to-use website that features all the latest deals and offers.